A very rare chance to witness life in the world's most reclusive nation. In this verite documentary the family of Hong Sun Hui, a female worker in a textile factory, takes us through an ordinary day in the country of the Beloved Leader Kim Jong Il. 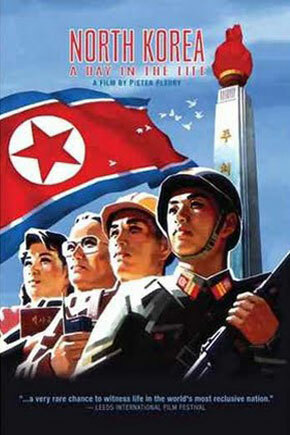 This film provides a privileged and captivating view of the process of social organization and indoctrination of North Korean citizens. 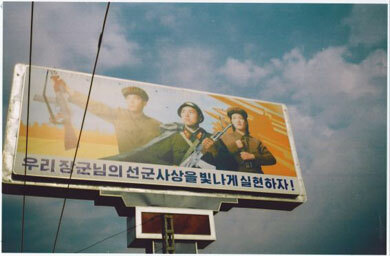 Daily rituals of family, school and work are imbued with exultations of Kim Jong Il and the People's Army. However, a mysterious and haunting mood pervades these images of teacher-training and factory workers. The filmmaker's careful eye for detail and lingering camera allows the people to reveal their individual humanity despite their best efforts to remain on message. Ironically, the carefully controlled images reveal truth behind the veil of propaganda. A potent video coda plainly and effectively casts the theme of the power of media control into stark reality. A Dutch independent filmmaker, Fleury graduated from the Dutch Film Academy in 1978. He has made a total of 55 films, most as a director, some as a producer/director. Some of his works include Ramses and The Invisible Truth.